Sunday- Nov. 7 - Reunion Reservation Desk open for check-in (hotel lobby). Monday - Nov. 8 - 9:00 AM $ - OLD SAVANNAH TOURS (The bus company will distribute all-day passes. The tour is two hours, but you can get on and off the bus all day.) 6:00 PM $ (est. time) DINNER @ PAULA DEEN'S LADY AND SONS - (NOTE: the banquet room was limited to 100 people, but we have reserved 24 additional places together in the main dining room) - Hospitality Area open! 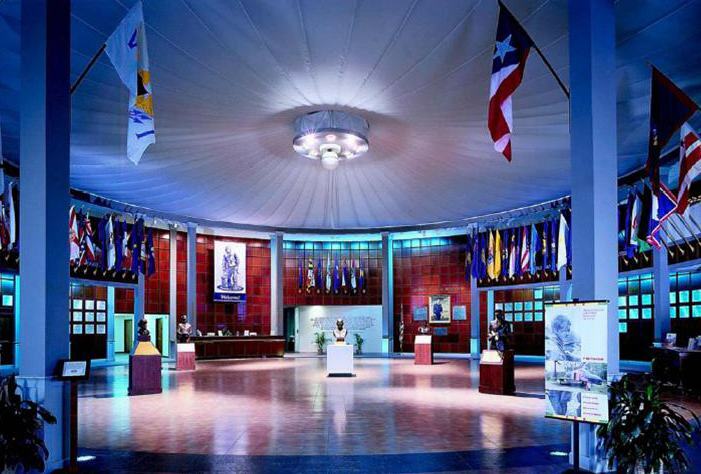 Tuesday - Nov. 9 - 9:30 AM $ - MIGHTY 8TH AIR FORCE MUSEUM TOUR (Buses will be boarded at 9:30) - A catered luncheon will follow the guided tour and we'll arrive back at the hotel @ 1:30 PM On your own for Tuesday evening dinner with old friends... (Savannah has many dining options - all price ranges) Hospitality Area open! Wednesday - Nov. 10 - 9:00 AM (est. time) - Free Continental Breakfast 9:30 AM - Bi-Annual Business Meeting. (Important item on our Agenda will be the selection of a site for our 2012 Reunion - Bring your ideas/presentations!) - (We were on the West Coast in 2008, East Coast 2010, How about Central USA for 2012? - Colorado Springs? San Antonio? Minneapolis? Denver? Chicago? Kansas City? Milwaukee? --- "Any Volunteers?") Hospitality Area open! - "See Y'All in two years - 2012"
"On your way out of town, consider a side trip to Hilton Head Island or Charleston, SC or many other neat places in the area too..."
5:30 - 6:30 PM $ - Happy Hour - Ca$h BAR is open! 8:48 PM - Special Music - "Let the Dancing Begin..."
10:00 PM - Last Dance! Reunion Chairperson, Huk Tracy, has negotiated an excellent, off-season group rate of $129.00 per night (plus tax and occupancy tax). Savannah is one of the top-10 vacation destinations in the USA, and we were able to get this excellent rate since our Reunion is, after the normal tourist season, in November. We've reserved 75 rooms at the above rate, and if we occupy 50 rooms, the Doubletree Hotel will give us a hospitality room at no cost. Our tentative banquet location is at Garabaldi's, a short walk from the hotel. Plan to make your hotel reservations before October 8, 2010 in order to get this special group rate. local library probably has copies!" -- "See you in Savannah!" "Don't miss this grand travel opportunity with Bremerhaven Friends!" We're planning a group tour and luncheon plus bus fare for under $20. On January 28, 1942, fifty-three days after the infamous attack on Pearl Harbor, the 8th Air Force was officially activated in the National Guard Armory in Savannah, GA. In 1983, Maj. Gen. Lewis Lyle, USAF retired, a B-17 veteran of 70 combat missions during WWII began planning this museum, which officially opened in May of 1996. 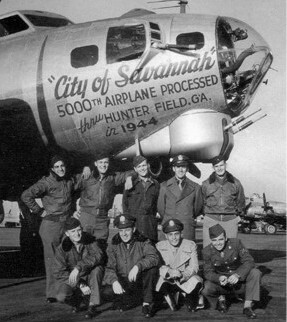 The B-17G Bomber "City of Savannah" Restoration Project. The Mighty Eighth Air Force Museum is restoring its B-17 in honor of the B-17 named "City of Savannah" on December 3, 1944. The Aircraft was the 5000th airplane processed through Hunter Army Air Field at Savannah, GA during World War II. It was christened prior to its take-off to England to fly combat missions with the 388th Bomb Group, 563rd Squadron on the 8th Air Force. The aircraft, "City of Savannah" flew 44 combat missions in World War II. Savannah dates back to 1733. Founded by James Edward Oglethorpe, the first "planned" city is designed with a series of grids, or squares (with flowers, statues and benches, under great grandfather oaks) for park-like havens. Enjoy this charming coastal city by walking, (Savannah was named one of the Top Ten walking cities by Walking Magazine), riding in a horse-drawn carriage or via trolley. Some businesses are named Moon River (for Johnny Mercer, the song's lyricist, born and raised in Savannah). His grave is in the Bonaventure Cemetery. Savannah is the oldest city in Georgia, and thanks to the Savannah College of Art and Design (SCAD) (the nation's top arts college), has been restored and transformed from an old town into young one with trendy shops and food. The few-miles-square historic district has 21 famous tree-lined squares and cobblestone streets surrounded by 19th century mansions, landmark churches and inns. Some squares become outdoor wedding chapels on weekends. Enjoy historic tours by day and lantern-lit ghost tours by night. You'll notice the Parisian accent in the French Gothic cathedrals, sidewalk cafes, the artsy Paris Market, and the olive-oil tasting room. Find time to visit the beautiful Ballastone Inn (a former 19th-century bordello); the stately Mansion on Forsyth Park (Once a cream of society funeral home); and the Mulberry Inn (previously the Coca Cola bottling plant). America's Most Beautiful Cemetery: The historic Bonaventure Cemetery is a former plantation where the famous and infamous rest beneath ancient oaks and stone angels, and worth some extra time to view. The cemetery is composed of 160 acres overlooking the Wilmington River. Songwriter Johnny Mercer (Jeepers Creepers, Come Rain or Come Shine) is buried there. He was born in Savannah in 1909. The Roadhouse Railroad Museum has an actual old time rail car where you can enjoy lunch. The Savannah Theater is the oldest running theater in America. 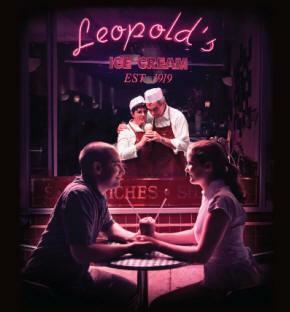 If you like ice cream, don't forget to stand in line at Leopold's Ice Cream (since 1919) on E Broughton Street. Plan a trip to Tybee Island too (20 minutes away). The Light Station and Museum was built in 1773 and is at the north end of the island and you'll find 3-miles of public beaches and a quaint area of oceanfront restaurants, shops and a pavilion at the south-end pier. For serious seafood, check out Joe's Crab Shack on the island. And... before you leave Savannah, be sure and try the Cajun crab eggs benedict at Huey's Southern Cafe down on the waterfront. These are but a fraction of the many Websites you'll find on the Internet about Savannah. Catherine and Huk Tracy are excited about everyone coming to our 2010 Reunion and enjoying one of the most beautiful and historic cities of America. We hope you plan a few extra days before and/or after our Reunion to enjoy all of the events this area has to offer. .
"Meet us in Savannah in 2 months!"